Our Wells Kennedy Organ is used for services, recitals and special events. Installed in 1984, the organ was refurbished and enhanced in 2014 to provide a more flexible instrument for supporting congregational singing, bring it into line with current standards in console design and allow greater ease of use and scope for wider repertoire. 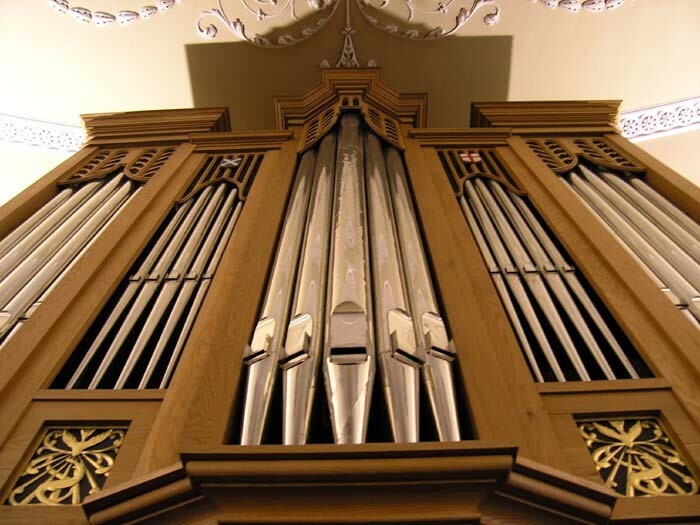 A full specification is available on the National Pipe Organ Register. We sponsor an organ scholarship, currently held (2016-17) by Drew Crichton.